Patrick Brown, ousted earlier this year as Ontario Progressive Conservative leader, has scored a political comeback, winning the Brampton mayoralty. Brown garnered 46,454 votes, about 44 per cent of the ballots cast — beating out Linda Jeffrey. Jeffrey became mayor in 2014 when she replaced Susan Fennell, who served as Brampton mayor for 14 years. "I've got so much hope in my heart that lies ahead in Brampton. I know we can turn this around. 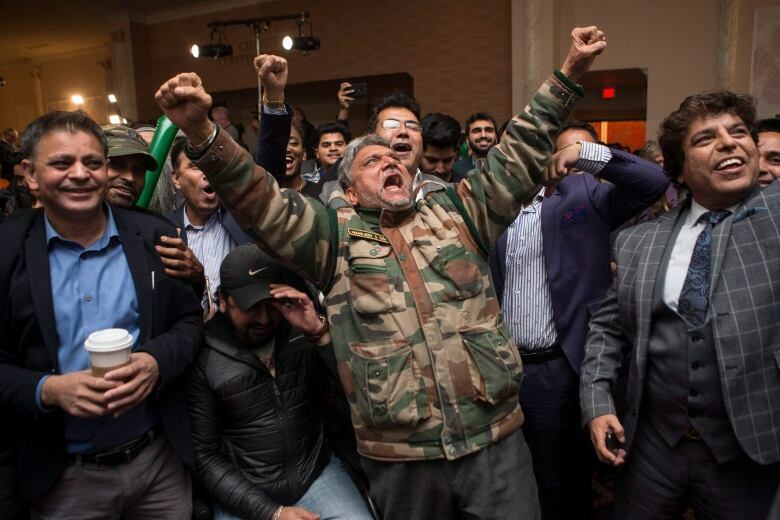 I know Brampton is going to be back," said an effervescent Brown in a victory speech Monday night, words that could easily have been applied to his own political career. The speech echoed the key planks of Brown's campaign announced in the summer, including: economic development, more resources for police and more health-care funding. "Brampton is getting peanuts compared to other communities in terms of federal and provincial investments. And here's the reality, we all pay the same federal and provincial taxes," he added, saying he would demand greater funding from other levels of government. "We're not second-class citizens here in Brampton." Earlier this year, Brown made headlines when he was forced to resign from the PC leadership following allegations of sexual misconducted dating back to his time as an MP. Brown, who many expected to be Ontario's new premier before the allegations, vehemently denied them. "It's been a difficult year. The support of family and friends has meant the world. I wouldn't wish my worse adversary having to go through false allegations," Brown told reports after his win. Brown sued CTV for $8 million for defamation after it reported the allegations by two women. CTV has stood by its reporting, despite the lawsuit. The case is still before the courts. Following the allegations, a PC Party vetting committee maintained Brown was eligible to run for the leadership. He held on amid sharp criticism until withdrawing in February. In July, he turned heads again when he joined Brampton's mayoral race on the last day for candidate registration. The surprise move had Jeffrey, who has lived in the city for 35 years, raising immediate criticism and questioning Brown's ties to the city. Brown countered, saying he'd practised law there before and after his time in provincial politics, slamming Jeffrey's leadership as ineffective. Speaking on CBC Radio just ahead of the election, San Grewal, editor in chief of online Brampton news outlet The Pointer, said a win by Brown would say more about Jeffrey than it would about the former PC leader. "I think it speaks to the lack of leadership that Brampton has seen," Grewal said. 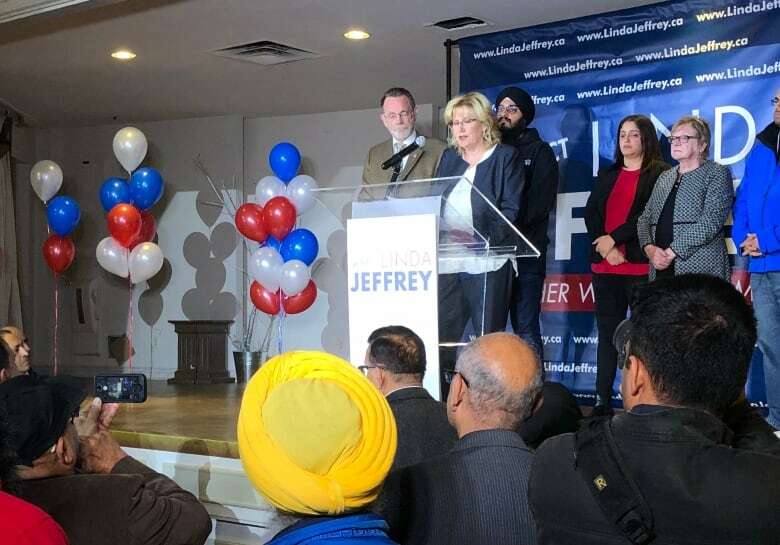 Jeffrey said in her concession speech, "I, too, am disappointed that our campaign didn't connect in the way I had hoped. I can confidently say that our city is in better shape than when I found it." The contentious race showed no signs of letting up as voters headed to the polls. Brampton's mayoral race took place against a backdrop of exploding growth. With more than 600,000 residents and a population growing at 2.5 times the national average, the suburb is on pace to become one of Canada's largest municipalities. Longtime residents have also pointed to what appears to be a dangerous spike in violent crime in the city, with 12 homicides so far this year, compare to seven in all of 2017. Transit and traffic are also key concerns in the city. A new city council could mean the debate over the quashed light-rail transit plan, something Jeffrey vocally supported, would be reopened. City council voted down a controversial LRT line in 2015 that would have connected Brampton to Mississauga. The results posted Monday night remain unofficial until the city clerk certifies them, which is expected to happen by Thursday.